"The evil that troubles your home must see that I am your invited guest." 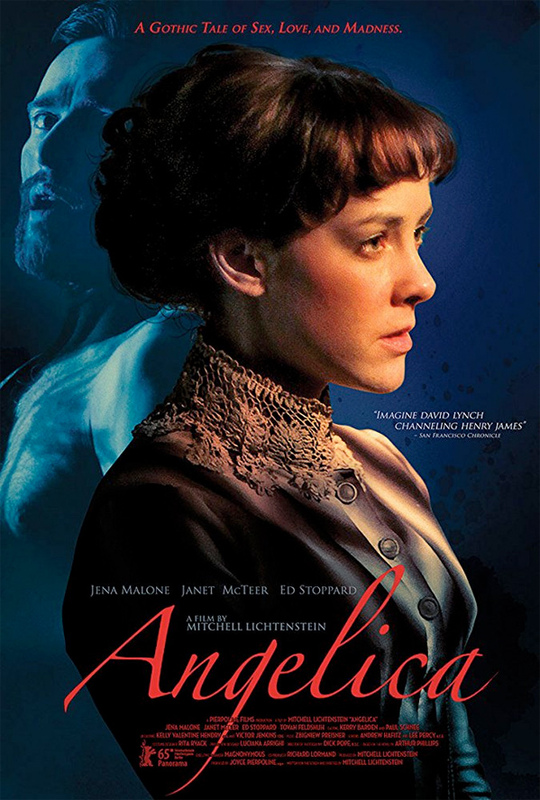 Freestyle has revealed an official trailer for the horror thriller Angelica, which has been sitting on the shelf for two years awaiting release. Angelica is the latest film from Mitchell Lichtenstein, the director of that wacky, freaky horror film Teeth from a decade ago. This is a supernatural thriller set in Victorian England about a couple who encounter a ghost in their house after having a baby named Angelica. It's described as a "spellbinding ghost story about desire, repression and its consequences", which sounds like it could be good, but also sounds like it could be bad. Jena Malone stars, also with Ed Stoppard, Janet McTeer, Tovah Feldshuh, Charles Keating, Daniel Gerroll, and James Norton. The footage is creepy, but it doesn't seem like anything that special. In Victorian England, sexual repression opens a rift between young couple Constance and Joseph after the birth of their daughter Angelica. As Constance becomes more and more protective of little Angelica, a ghostly predator begins to make its way through the house late at night… Angelica is directed by American filmmaker Mitchell Lichtenstein, director of the films Happy Tears and Teeth previously. The screenplay is also written by Mitchell Lichtenstein, based on the novel of the same name by Arthur Phillips. This first premiered in 2015 at the Berlin Film Festival, and also played at the Mill Valley Film Festival and Sitges Film Festival that year. Freestyle Digital Media will finally release Lichtenstein's Angelica in select theaters + on VOD starting November 17th later this year. Anyone interested in finally catching this horror film?